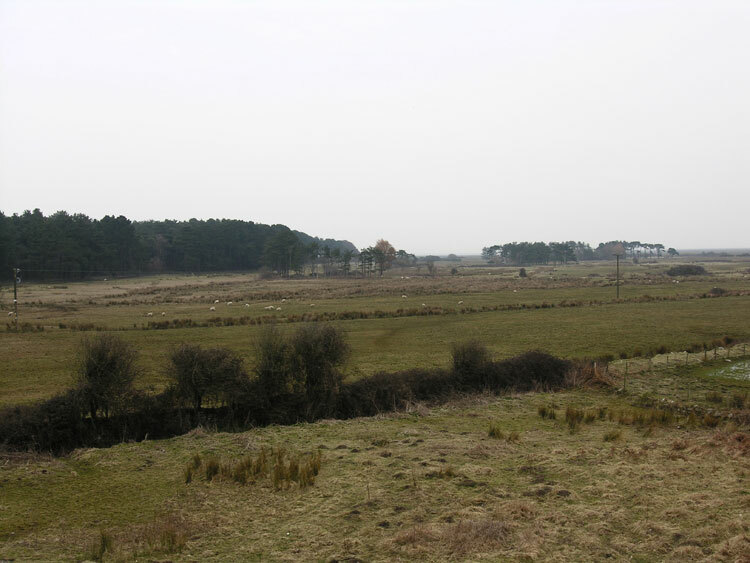 The historic landscape area of Cwm Ivy Marsh equates to the area of enclosed drained marshland north of Llanmadoc and west of Llanrhidian Salt Marsh. This area lies at the south end of Whiteford Burrows, at the foot of the North Gower scarp, and consists of a small flat-bottomed embayment protected from the sea by a sea wall with a sluice. It is crossed by a stream, which feeds into Sluice Gutter and Burry Pill on the Llanrhidian Marshes. There is evidence for at least three phases of reclamation and drainage, though none has been dated directly. An earlier, much less pronounced, sea bank lies 200m to the west of the present sea wall. The fields in between are named 'New Marsh' in 1844; the same area was 'Enclosed Marsh' in 1783. To the west there is a field marked as 'Old Marsh', and traces of a smaller rectangular drained area on the north side of the valley is visible on air photographs. Plunkett-Dillon and Latham (1987a, 24) cite a document from 1661 referring to a 'sea wall' at Cwm Ivy, though it is not known whether this survival is the same wall. They suggest that Llanmadoc Marsh was common pasture in the 17th century, although it was privately held in 1844, and that the sea wall is late medieval (Locock 1996, 11; Plunkett-Dillon and Latham 1987a, 25, 3). This area continues to be used for pasture.